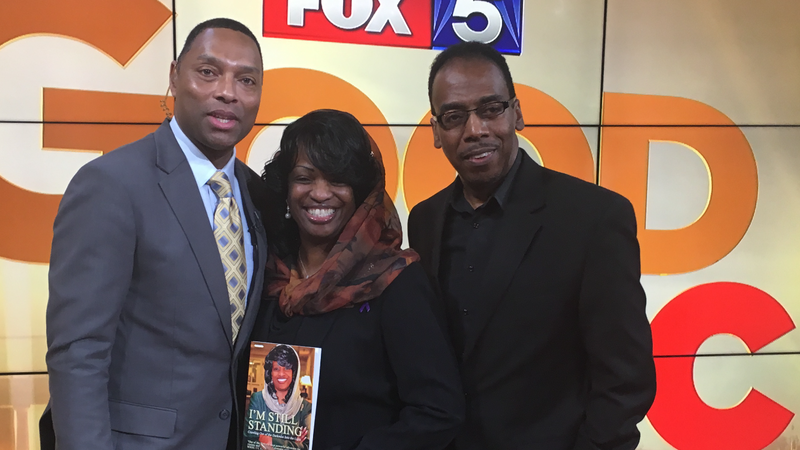 Mildred Muhammad, better known as ex-wife of DC sniper John Allen Muhammad, has just released her 2nd book, “I’m Still Standing – Crawling Out of the Darkness Into the Light.” The book is dedicated to those who are in survival mode, and need a push out of pain and doubt, and into healing and renewal. The book tour included appearances on Radio-One’s Marketing Pulpit Radio Show in Silver Spring MD where she was interviewed by Robert Gatewood; FOX 5 TV in Washington DC, where she was interview by Maureen Umeh; and WJLA TV in Arlington, VA, where she was interviewed by Larry Smith. Gatewood provided design services for the project which included book cover design. Find out more about the book, or order a copy at www.mildredmuhammad.com!